Dr. Ahmed T.A. Gabroun is a specialist cardiologist with an interest in ischemic heart disease, hypertension management, cardiac non-invasive diagnostic procedures, and preventive cardiology. 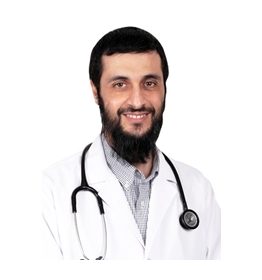 Dr. Gabroun is working as the faculty doctor for the final cardiology year department at Dubai Medical College, and is an Associate Professor at Mohammed Bin Rashid University. His areas of expertise in cardiology include vascular consultation, ECG (short and long rhythm), 2D echocardiogram, treadmill stress test, dobutamine stress test, 24 Hours BP monitoring. Member of the Royal College of Physicians of the United Kingdom & Scotland.